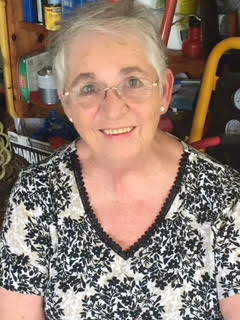 Brenda Ann (Minchew) Taggart, age 71, of Carlisle, passed away at Geisinger Holy Spirit Hospital on Friday, September 14, 2018. Brenda was born on Friday, December 13, 1946 in Pensacola, FL to the late William Washington Minchew, Sr. and Minnie Lee (Stanley) Minchew. In addition to her parents, Brenda is preceded in death by her six siblings, Earl Stanley, Macy Kitts, John Minchew, Myrleen Clubreath, Jack Minchew and Minnie Lee Leneve. Brenda’s survivors include her son, Dusten Lee Taggart and his wife Karin, of Shermans Dale; her two step-sons: Desmond David Taggart and his wife Dana, of Lexington, VA, Dana Taggart, of Carlisle; her two grandchildren: Justin Taggart, David Taggart; and her brother, William Washington Minchew, Jr. of Vernon, FL. Brenda was a member of the first graduating class of Rutherford High School in Panama City, FL in 1964. Brenda was a hard worker and the backbone of Cracker Barrel Store #550 in Mechanicsburg where she worked as a Cashier and Retail Trainer. She was one of the first employees hired in that store. Brenda also drove a school van for Miller and Sons for over 20 years prior. Brenda was a special kind of awesome, loved by many and impacted countless lives. She loved to read and was always learning. We didn’t need the internet, we had OMA. The most important time spent was with her grandchildren! Brenda’s family will be celebrating her life privately. Scattering will be at the family’s convenience. Cremation was private. The family respectfully asks that contributions be made in Brenda’s memory to help defray her final expenses. Donations of any amount are welcome and greatly appreciated. To donate, simply click on the green “Appeal for Donations” button on Brenda’s obituary which appears on Buhrig.com. Donations by check can be made payable to Myers - Buhrig Funeral Home and Crematory, 37 East Main Street, Mechanicsburg, PA 17055. Credit card donations by telephone can be made by dialing (717) 766-3421. Brenda’s family thanks you and Myers - Buhrig Funeral Home and Crematory for the financial support at this difficult time. Brenda’s family has entrusted her care to Myers – Buhrig Funeral Home and Crematory in Mechanicsburg, (717) 766-3421. Read Brenda’s full obituary and sign her official guest book at Buhrig.com.